How big are the gaps between each rack bar? 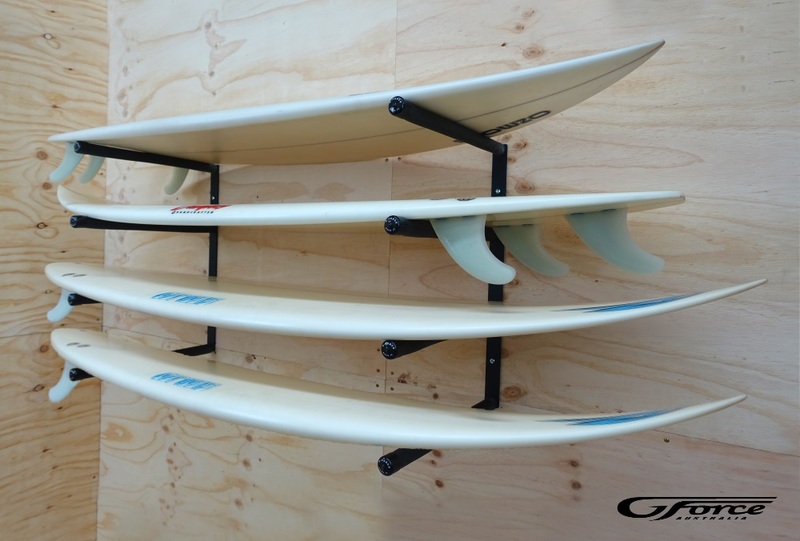 What is the weight rating for your surfboard racks? What are your shipping rates within Australia? Flat rate $15 Australia Wide. Please contact us for an international shipping quote. postage and the product is still in good condition. Call us on 1300 735 538, quote your order number, and a member of our team will assist you. Will I get an email confirmation for my order? If your chosen item is in stock, your order will be shipped the next business day. If your item is not in stock, allow up to 3 business days. In most cases, your purchase will arrive within a week. If you need your item by a specific date, please contact us to check that you will receive your product on time. We do have the capability to do custom 0rders. Send us an enquiry with full specifications and we will get back to you ASAP. Your order will be delivered via Couriers Please in most cases, and will take 2-3 days for most metro deliveries. Contact us if you would like an update on your order.